Tickets for “UFC 130: Edgar vs. Maynard III” go on sale this morning at 10AM ET/7AM PT to all UFC Fight Club members. The May 28th event takes place inside the MGM Grand Garden Arena in Las Vegas, Nevada. 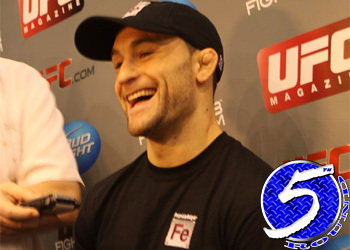 Lightweight king Frankie Edgar will defend his title against Gray Maynard in the night’s featured contest. UFC Fight Club members will have the opportunity to purchase seats for the show starting at 10AM ET/7AM PT via UFCFightClub.com.